I modified yesterday’s post nine times and still the labels of the last two photographs were aligned incorrectly. I had to quit in the end before I started to throw things, see how today goes. 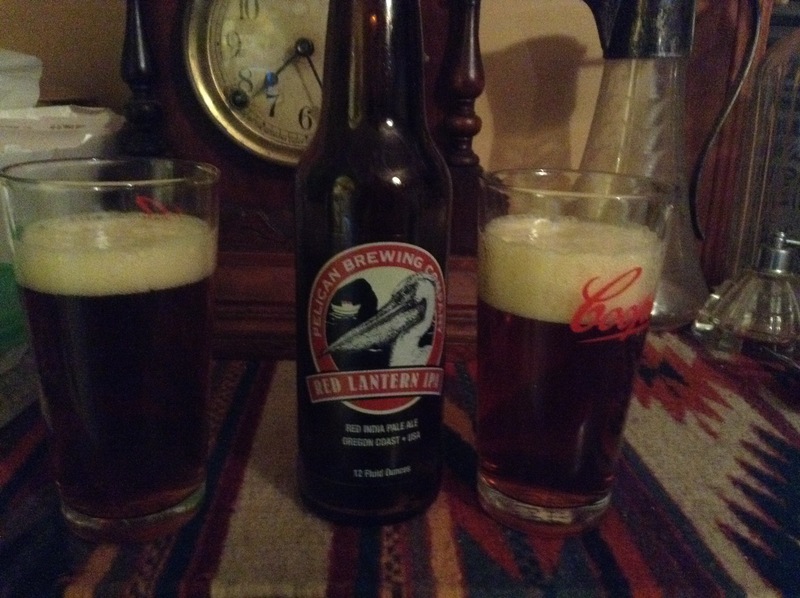 PELICAN BREWING RED LANTERN AMERICAN PALE 6.4%. 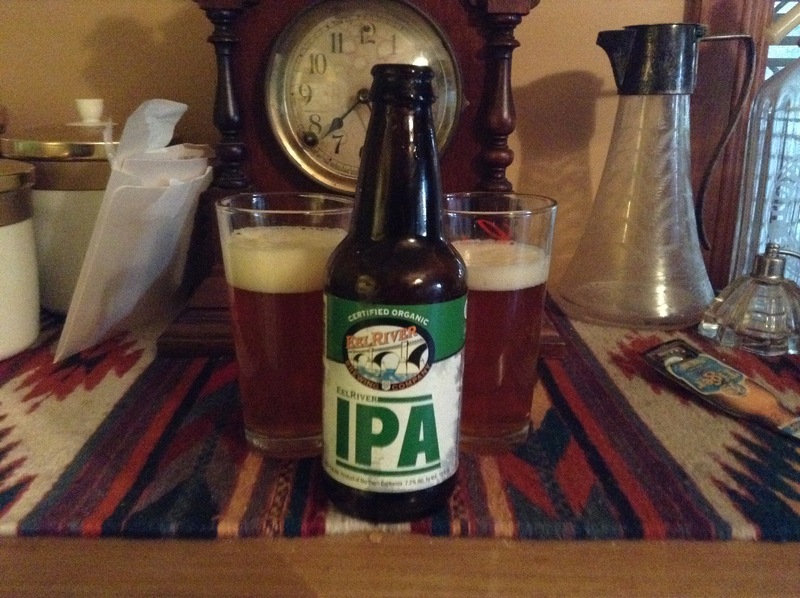 A big malty beer with a bitter after taste. A pretty big beer. If you can tell from the internet ,I have to say this place looks like one I would like to visit, if for location alone though I am pretty sure I could find something in their beer list to try. 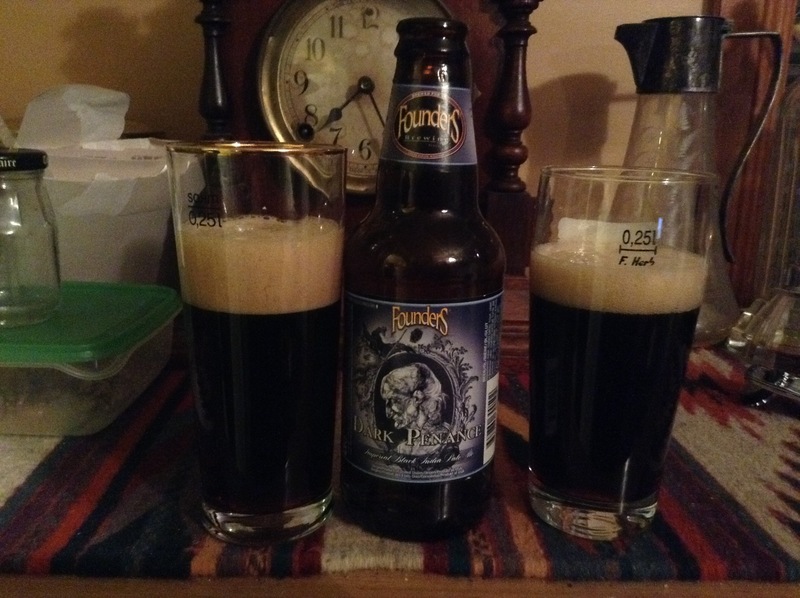 FOUNDERS DARK PENANCE IMPERIAL/DOUBLE BLACK IPA 8.9%. Chewy. A big heavy black beer with stout like flavours, quite a big long lasting bitter aftertaste. You have to like this double black business, is that like a double negative, or maybe putting a blind fold on a blind person . I like Founders beers generally, though this one was a bit of a challenge, not as smooth as some other similar styled beers perhaps. Out of the six fourth of July beers I think I liked the Firestone Walker the best. I don’t know what s available on the U.S Shelves but I think the beer style choice here is limited to mainly IPA’s .So here’s me looking forward to a European public holiday and bring on the saisons.